· Wash and soak the rice about 2 hours. 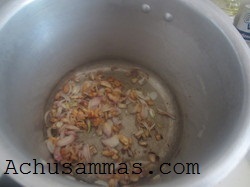 Melt the jaggery with little water. 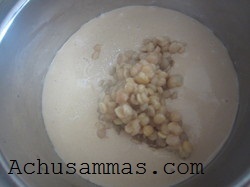 · Mix well, cooked chana dal,a pinch baking powder, with the ground paste. · Heat a nonstick vessel on a low flame. Add the mixture and stir continuously. · Heat until lukewarm. Stir well and keep it aside. 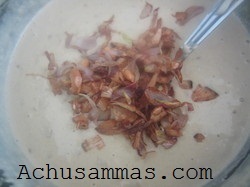 · Pour the ¾ the of the golden brown shallot mixture into lukewarm rice mixture and mix well. · Pour the mixture into the same cooker, where we fried the shallot. Garnish the top of the mixture with rest of the fried shallot coconut mixture. · Close cooker and remove the weight. Cook for 3 minutes on a high flame. · Next lower the flame and cook for 15 minutes on a very low flame. · Remove from fire and open the lid after 5 minutes. 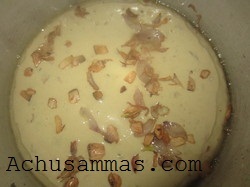 · Remove the kalathappam from cooker when cool. A very interesting cake. I love the coconut flavour. Yummy! Totally new way of preparing kalathappam n without coconut milk or paste..interesting one,superb slice with tea..very filling!! I see your process with the rice here. I am wondering if rice flour is the same as ground rice.. 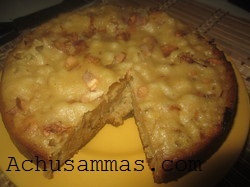 Your cake does look tasty with the coconut pieces and the cashews. Interesting and unusual recipe, but well worth a try. Glad you posted this, enjoy the day! looks super delicious n yum.. This dish is new to me. 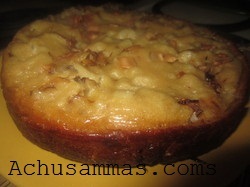 Looks very interesting and delicious..
looks lik a nice recipe.. never tried a cake with rice flour before.. This is so new to me.. good one! Love your traditional recipes, delicious..
new to me..looks so yummy dear..awesome recipe!! 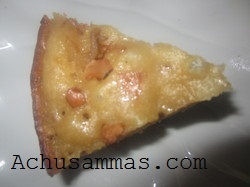 Makes me drool, wat a super tempting kalathappam..
Super tempting kalathappam, very nicely done n looks so yummy. Wonderful and tasty one !!!! New to me but this sounds so yummy!